ENTER THE INTERACTIVE MATHEMATICS GLOSSARY. 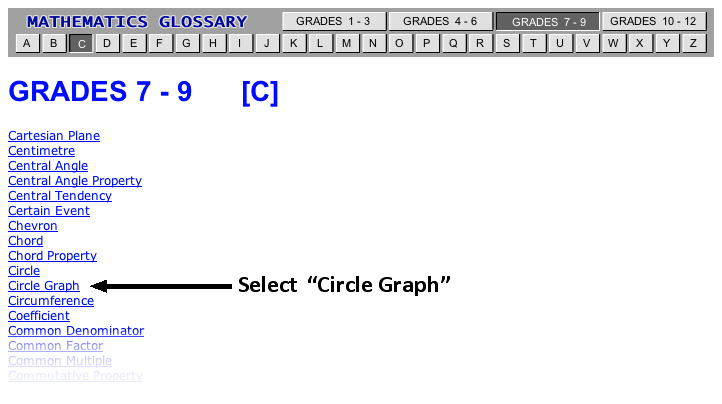 To look up the term "Circle Graph", at the Junior High School level, follow the steps below. Step 1: Enter the Glossary by selecting the hyperlink at the top of this page. Step 2: Select "GRADES 7 - 9". Step 4: Select "Circle Graph" from the resulting list of terms. See the illustration below. Selecting "Circle Graph" will result in the following page. 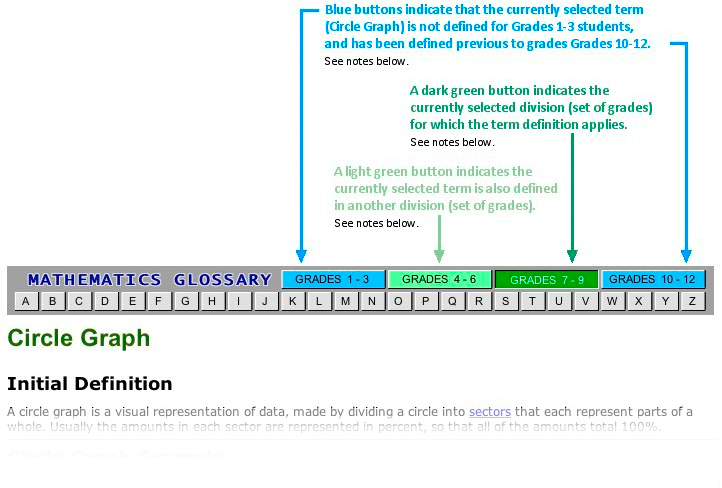 If you look at the definition for the term "Circle Graph" at grades 4-6, you will see that there are some differences from that of Grades 7-9. In Grades 1-3 the "Circle Graph" definition demonstrates how to read a circle graph. 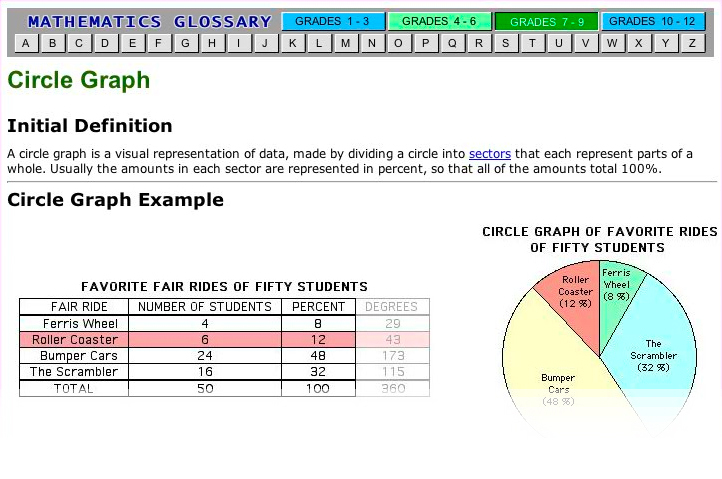 In Grades 7-9 the "Circle Graph" definition demonstrates how to both read and create a circle graph. A user can see how the definition is "developed" and refined over time.